The Church of St. Mary's came into existence in 1928. 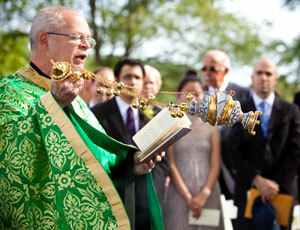 It was founded by a group of families who had been parishioners of the Church of St. John of Damascus. This energetic group of families banded together to further the growth of the Orthodox Faith. These faithful and courageous individuals formed and organized the Antiochian Society of St.
St. Mary's acquired the church house of the First Universalist Church in 1954. It is the second oldest church building in Cambridge, having been built in 1821. 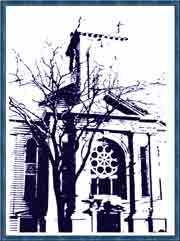 St. Mary's Parish is located at 8 Inman Street, however, the church building originally graced the corner of Massachusetts Avenue and Main Street, approximately one half-mile from its current location. The Universalist congregation had moved the entire building from its original location in the latter decades of the 19th century (the reason for this move is lost in the mists of history).